Sometimes you don’t need to go far away to see beautiful places, and France has a lot of them! car), you will find the golfe du Morbihan and in the town of Arzon, the beautiful Port du Crouesty. There are paths along the coast, ideal for a quick trek but more than enough to enjoy the views. Although there are beautiful beaches, I do not recommend swimming here because, for example, right now the water is 10 degrees Celsius, and the rest of the year it is rarely above 20 degrees. You’ve been warned! Brunch : both breakfast and lunch, the best 2-for-1 in the world ! I really like Sunday brunch, and what if we add a mexican one in the mix ? Jackpot ! 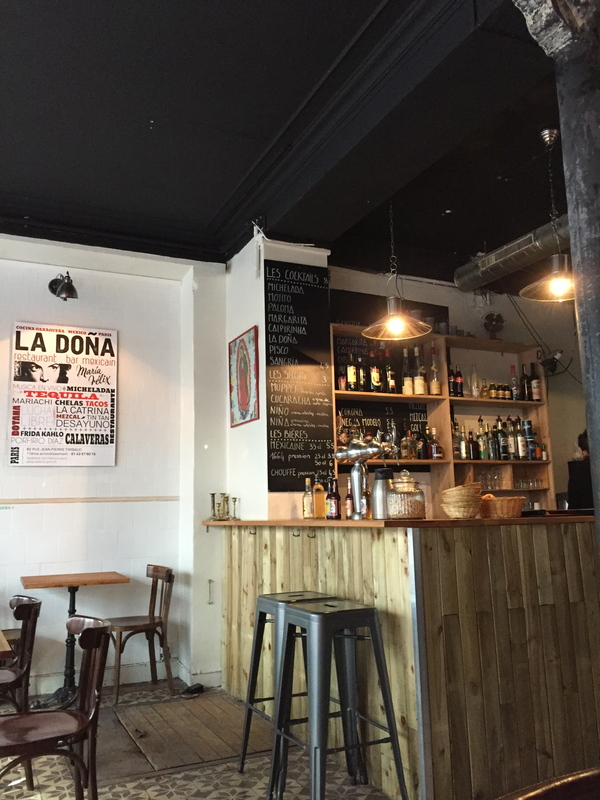 La Doña opened a few months ago in the 11ème arrondissement in Paris. I knew about this restaurant thanks to a friend that lives around the corner. We had dinner there and it was really good, authentic mexican food from the state of Oaxaca. I waited for a loong time to finally go to the Sunday brunch, and it was worth the wait.